MCX right-angled male to SO239 UHF female pigtail for RTL-SDR dongle etc. This handy cable enables you to quickly and easily connect antennas with a PL259 connector to your RTL-SDR dongle. Length approx. 18cm. 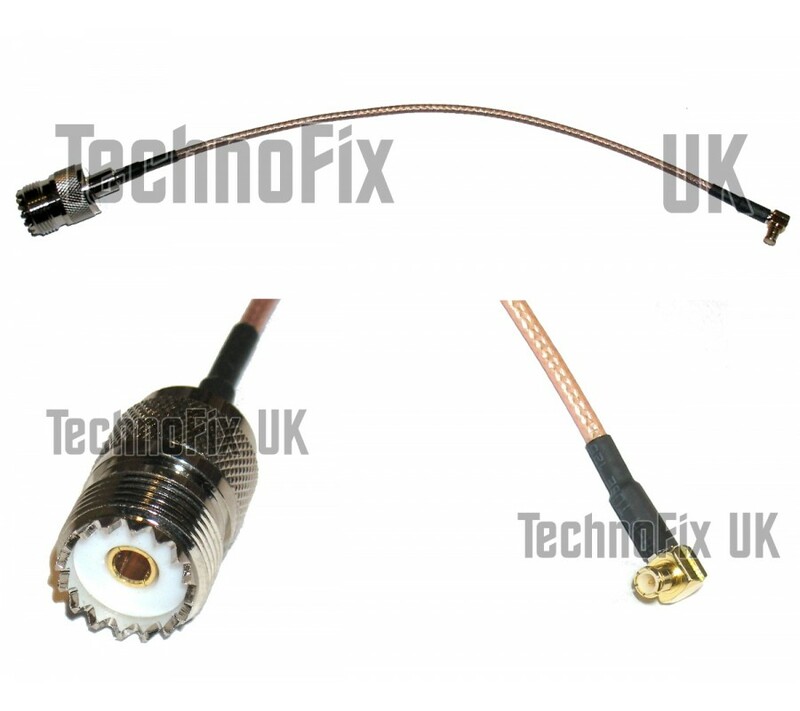 High quality RG-316 cable with PTFE (Telfon) dielectric, FEP jacket with silver plated conductors and braid. Also useful for any application requiring a male MCX to SO239 UHF female pigtail.